The official IDW comics with their great style and stories have always been an important addition to the TV series and have also become another string to the community’s bow for many of us. As they merged more and more with the show’s storyline, they became even more important during Season 7 adding more background to the characters. With their several spin-off lines and the annual special issues, they are nearly as popular within the community as the main TV series. 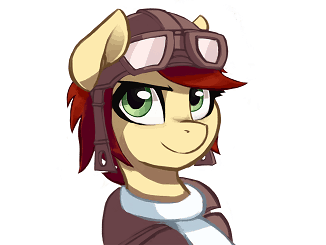 One of the best-known comic artists is Andy Price with his unique style. So we are very proud to announce him as a representative for the IDW comic series at GalaCon 2018! Andy Price at BronyCon 2014. By Ty Konzak (Bronycon 8/3/14) [CC BY 2.0 (http://creativecommons.org/licenses/by/2.0)], via Wikimedia Commons. 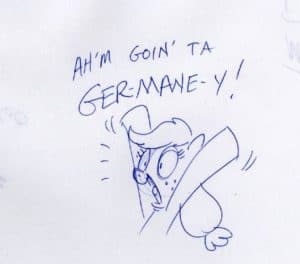 Andy Price, a famous comic artist from the USA, has been involved in IDW Publishing’s adaption of “My little Pony: Friendship is Magic” since issue 1. This release was so hihghly anticipated, that it was the first comic book that broke the 100.000 copies pre-order records of a comic not published by DC or Marvel since almost one decade. Price has done illustration work for DC Comics, Marvel Comics, Innovation Comics, and the Rittenhouse Archives. His other comics work includes licensed titles based on the television series Quantum Leap and WordGirl. Price is a graduate of Austin High School in Decatur, Alabama, and the Joe Kubert School of Cartoon and Graphic Art. He currently resides in Madison, Alabama, with his wife, Alice.